PayForEssay.net is an online paper writing and assignment help service aimed at students of various academic levels. According to their official website, they have been in the business for 12 years and there are around 3,000 writers and editors in their team. PayforEssay offers a variety of services; almost anything the average student may need during their academic life. You can order essays of any kind, book/movie reviews, lab reports, term papers, dissertations and theses (either the complete paper or specific chapters you may have trouble with), coursework, statistics projects, and many others. They also provide proofreading, formatting and editing services for students who have already written their assignment but are not sure of its quality. You can also find free samples on their website and they offer free revisions if you don’t find their work up to par. PayForEssay.net has relatively low prices for regular orders compared to other similar services. The rates vary according to order type, academic level, deadline, quality standard and various extras you may opt for (such as Plagiarism report). 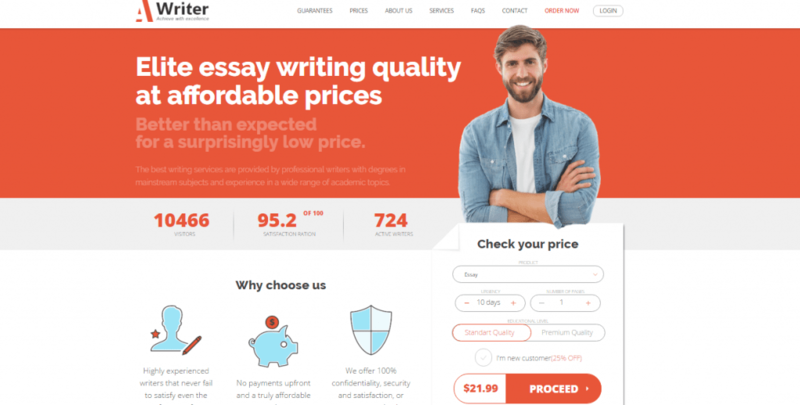 The price for an essay, for instance, can range from $11.30 per page to $44.95 for “regular” quality, but if you want a premium standard paper, the rate doubles – this has been called out by testimonials saying the prices are too high. Payforessay.net has a loyalty program in place: after you purchase your first paper, you get 10% back from the total bill in Points ($1 = 1 Point), which will accumulate in your account and can be used for your further purchases. Then, 5% from each next order will be added to your account, allowing you to save quite a lot as you continue to work with the company. Pay For Essay discount codes are delivered to you via email once you have placed your first order. We’ve tested to see if PayforEssay.net is legit and as good as advertised by ordering a standard quality essay. We received the paper earlier than the deadline set, and the writing was decent, although it could have used more convincing wording and more careful proofreading. What bothered us was that we specifically asked for statistics and facts to be inserted in the paper, and while the writer did include such data, in a few instances, they didn’t provide any reference to support it. It would have been better if they took the time to provide proper referencing and evidence rather than delivering a hastily written paper before the deadline. Customer support is a live chat interface on their website and a toll-free number. We started asking questions to test the live chat service and they replied immediately. We first thought it was a bot, but as we continued with more and more personalized questions that couldn’t have possibly had a template response, it was clear we were talking to a real person – not the most joyful and friendliest one, as you would expect from a support representative, but a person, nonetheless. We also tested the toll-free number. This didn’t manage to live up to the 24/7 support claim. We called several times in the evening and received no answer. So, should you trust this service? PayForEssay.net is certainly a legit company and has some advantages, but it is found wanting in a few areas. The quality of the text of the website home page, for example, contains an unsatisfactory number of grammatical and syntax errors. If you decide to order a paper from them, don’t rely on testimonials: we advise you to check it carefully before presenting it to your professors to ensure everything is in good order.